A-HOTEL.com - Hotels in Pastida. Current availability and special prices of Pastida hotels. Pastida hotels: On-line reservation of all price category hotels located in Pastida centre or near centre. We provide special price offers for most of the hotels (discounts up to 60% off the regular hotel rack rate). After entering the dates of your stay you will see hotels with available rooms and their precise prices in a given dates. With filters you can narrow or refine the offer of available hotels and find for your stay the best hotel in Pastida. NAMA RETREAT has a seasonal outdoor swimming pool, garden and terrace in Pastida. Every guest at the 5-star property can enjoy mountain views from the rooms, and has access to a hot tub. This family-run hotel in the Filerimos Valley offers delicious homemade food, plenty of leisure facilities and a warm and friendly atmosphere, close to Rhodes Town. The Garden Hotel is located in the small village of Pastida, where you can enjoy the peace and local charm. Featuring an outdoor swimming pool and sun terrace, Santa Helena is located in the village of Trianta in Rhodes. It offers rooms with a balcony overlooking the garden. 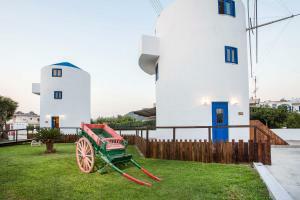 Boasting a seasonal outdoor swimming pool and a restaurant, Maritime is set in Kremasti. This 2-star hotel has air-conditioned rooms with a private bathroom. Offering a seasonal outdoor pool and a furnished sun terrace, Lisa Hotel is set in Ialyssos, 2.1 km from Filerimos. Valsami Hotel Apartments features a pool, a poolside bar and a restaurant amidst its blossomed garden. It also includes a mini market, a gift shop and a games room with billiards. Offering an outdoor pool, Valentino Hotel is located in Kremasti, a 5-minute walk from the beach. It consists of modernly decorated rooms with free WiFi. Surrounded by lush gardens, all Senses Ocean Blue Sea Side Resort is located at the beachfront, 2 km from the village of Kremasti in Rhodes. Guests can enjoy views of the Aegean Sea and modern, elegant accommodation combined with fine Mediterranean and Greek cuisine. A mere 100 metres from Ialysos Beach, 4-star hotel Matoula Beach is set within extensive greenery with garden furniture. It offers a swimming pool with children’s section, and poolside snack bar.